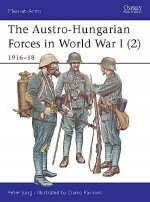 Like Germany, Hungary was forbidden from having an air force following the defeat of the Austro-Hungarian Empire at the end of World War 1. However, again like Germany, the new state of Hungary created an air arm in secret during the 1930s. Hungarian fighter pilots first saw action against their Slovakian neighbours in early 1939, following the annexation of Czechoslovakia by Germany. 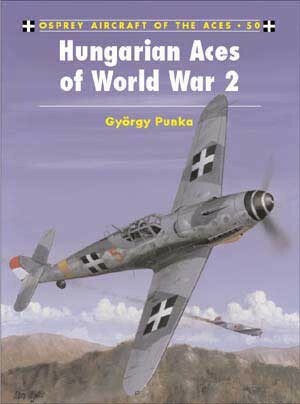 In June 1941, Hungarian armed forces joined the Germany in the invasion of Russia, and pilots from the I/I Fighter Group saw continuous action into 1942. 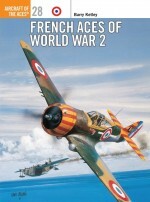 Flying CR.42s, Re.2000s and Bf 109Es, pilots scored a modest number of kills. 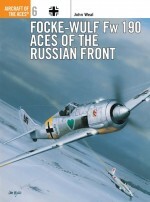 However, when the Bf 109G-equipped Hungarian 101 ŒPuma1 Fighter Regiment was committed to action over Kharkov in April 1943, numerous aces started to rapidly build their scores. One year later the unit returned home in order to defend Hungarian cities from American heavy bombers, and pilots such as Dezsö Szentgyörgyi and György Debrödy scored the bulk of their kills in desperate battles against American fighters and bombers. 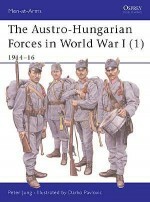 Unlike most of Germany's Eastern European allies, Hungary did not capitulate during the Russian advances of 1944, and its fighter pilots fought on until May 1945. György Punka is an aviation engineer based in Budapest. 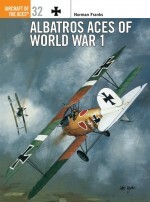 He has written several books and numerous articles on the Hungarian Air Force during World War 2. This is his first volume for Osprey.Stephan Boshniakov is an aviation researcher based in Sofia. He has done work in the past for the Bulgarian Aviation Museum. This is his first volume for Osprey.